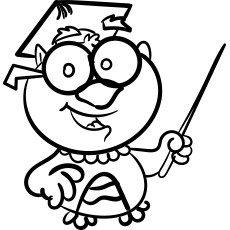 Teach your preschool child about alphabets with this coloring sheet. Learning to write the letter can take a long time, so be patient with your child. You can also decorate their wall with their art pieces. This will make the kids feel proud of their work. 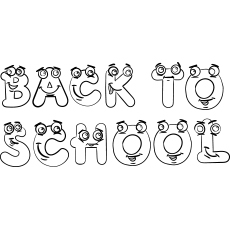 Coloring activity will also help increase their interest in the letters and alphabets. 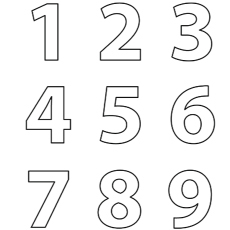 Ask your child to fill the numbers in different colors. This will make the coloring sheet look colorful. 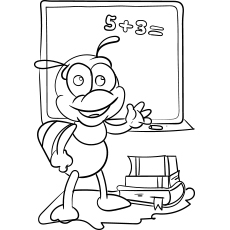 This coloring sheet will prepare your kids for school level addition. 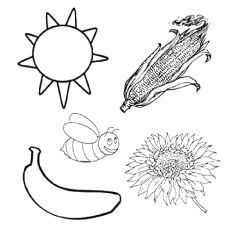 This coloring page features the assorted items that are orange in color. Take some time out and explain each object to your kid. Ask your child if he or she can think of anything else in the same color. Your children might face some trouble initially in remembering the names of colors, but they will learn in sometime. 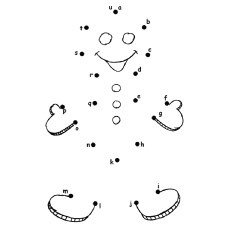 Ask your child to complete the picture of gingerbread by connecting the dots from A to U. When he is finished connecting the dots, ask him to color the gingerbread. 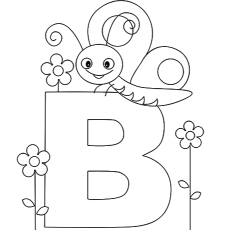 This coloring sheet will help your child recognize the letters and follow them in alphabetical order. 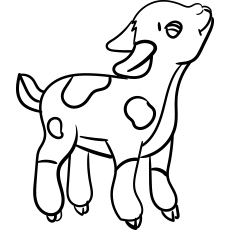 Take your child to the virtual circus with this cute coloring sheet. 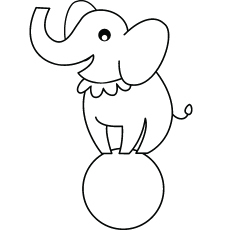 The coloring sheet features a cheerful elephant showing a balancing act. Invite your child to add some vibrant colors to this circus scene. 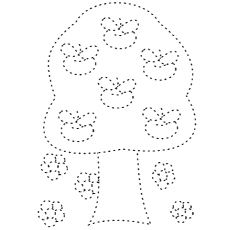 This coloring sheet has a very simple outline, so your preschooler will face no difficulty while coloring the sheet. You can also your child to make some patterns like polka dots or triangles on the diagram. 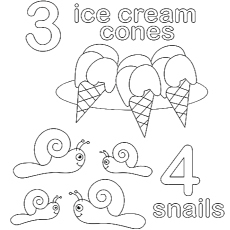 Ask your child to count the ice cream cones and snail. Then tell him to add colors of his or her choice to the ice cream cones and snails. 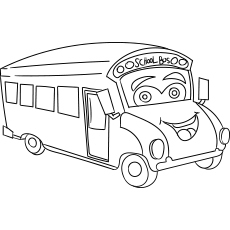 Here is a unique coloring sheet for your preschools. 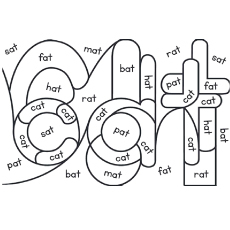 Ask your child to color the spaces with the word “cat” in orange. He can use any color for the remaining spaces. 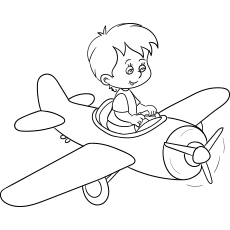 This coloring sheet will help your child practice visual discrimination, phonics and reading skills while coloring this sheet. 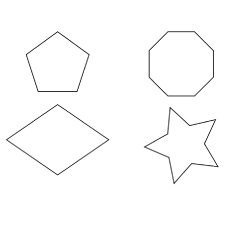 The coloring sheet features hexagon, star, pentagon and hexagon shapes. Ask them to trace the shapes and then brighten them with some color. 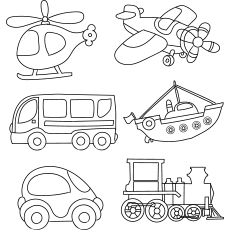 This coloring sheet will help your child to learn about various shapes in a fun way. The tracing activities help develop a child’s control of hand muscles and hand-eye coordination. It will also develop the ability to make logical connection, which is a precursor to both math and language. 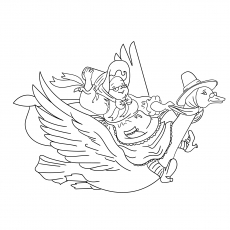 The coloring sheet features old mother goose riding through the air on a fine gander. It will also build artistic ability and fine motor skills in your kids. Ask your child to follow the color key to complete the picture. This is a terrific way to practice the number skills. Tracing the letters will help the child learn how the letters are formed. 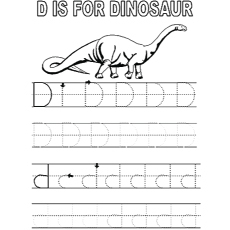 This coloring sheet features both upper and lower case letters. It also includes the picture of a dinosaur. Writing requires hand-eye coordination and concentration, so your child needs to practice a lot in order to acquire correct letter formation. Kids are fascinated by robots. 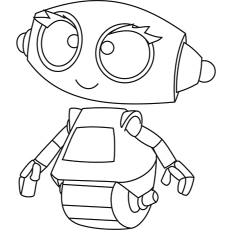 This is a simple coloring sheet of a robot in action. Print out his coloring sheet to brighten your kid’s evening. 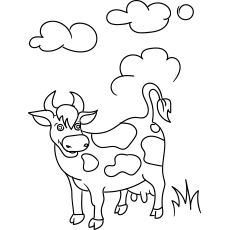 Share this coloring sheet with your kid to acquaint him with this amazing creature. You can also narrate a story about robots, while your child colors the sheet. Help your child add some fun and fruity colors to these foods. Make sure he reviews the shapes he sees on the page. 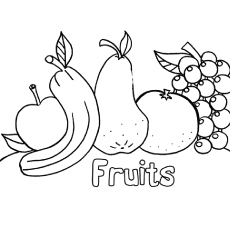 You can also encourage your preschooler to use his crayons to match up the colors with fruits. 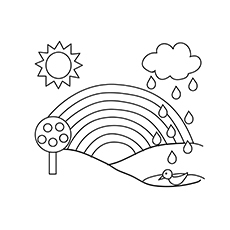 Little kids love to draw and paint rainbows. 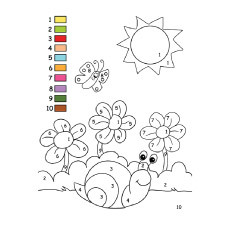 The blank picture is simple and allows kids to fill various colors. 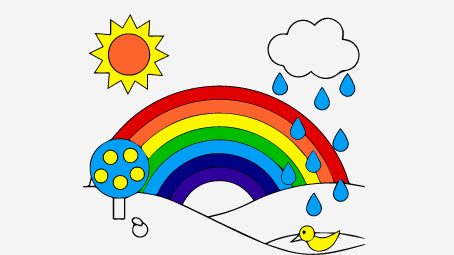 Ask your child to color each part of the rainbow with a different color. You can also narrate the Irish tale of a pot of gold at the end of the rainbow. This will increase your child’s interest in the coloring sheet.